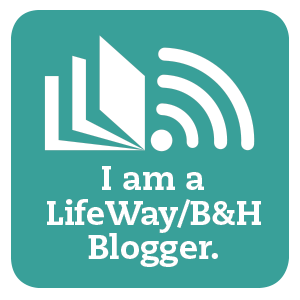 The Faithful Homeschool: Caught Up! Every now and then we need to review the importance of LEARNING in our household. Lately it has been heavy on my heart not only that they should be seeking their knowledge but that they should be doing it more independently. I know that probably sounds like I want to relinquish responsibility as the school marm... but I don't. What I keep thinking of is our work and the eventual training and outreaches we will be doing and how my children really do need to become self-starters in their school work. I AM here to teach and to help. Step 1: Make learning desirable. With different learning styles this can be a challenge but also a blessing. 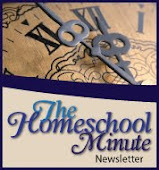 Nothing in mundane in our homeschool! I try to entice them into math facts with games. I encourage them to use their spelling words in sentences on topics of their choosing. I also, usually, give them a lot of leniency in the books that they read. I attempt to place titles before them that cater to their interests but also teach a particular concept... in a way that will grab their attention. Step 2: Have a system that promotes self starting. We do folders and bins. (I should type a separate article on how I do it!) They have a folder for each day of the week with their work in it. I usually have these packed and ready first thing Monday morning for the entire week. They also have 15" x 12" bins to keep their misc. stuff in... including their folders if they wish. Brush your hair, brush your teeth, get dressed! Voila! They help clean up at the end of the school day as well so our home doesn't just get trashed and left to headaches. The morning is for the stray stuff that got out of place during the in-between and also so that I can keep up on the laundry and dishes with ease. Step 4: Have a back up plan!!! This is actually what brought me to type today! Initiating my back up plan. To be able to be caught up into the world of thought- that is to be educated. I want my kids to be caught up! So, today we had a Bible study. We talked about "When I don't want to go to school"! We discussed the luxuries of homeschool and how we shouldn't take that for granted through our laxed behavior. I gave them kudos for achievements but I also discussed the less than desirable behavior of not being ready to learn and trying to get out of work as a result. Through knowledge its rooms are filled with all sorts of precious riches and valuables. We also discussed other passages that refer to wisdom as being more precious than rubies... and how precious rubies were in those days. But with this passage we explored the fundamentals of a home both in structure and content. Do we build a house on muddy ground? No, we put down a strong foundation first. Do we put garbage in our homes? No, we fill it with nice things. So what does the house represent? The kids were great in replying.... US! We had a nice discussion and study. I don't know if it will stick but I do feel we may be ever closer to being "Caught Up". I pray you and yours get caught up in learning and filling your "houses" with truly valuable riches as well! P.S. This study can be done for public schooled kids as well... not just homeschooled! This is the book we use when we encounter.... things... that need work! Don't be fooled by the title. As I discussed in my "Bible Studies With Children" post, it is useful for a large age group... even into middle school.